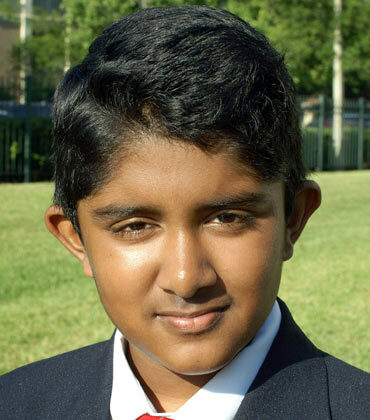 An interview with the 13-year-old Indian winner of the 2010 National Geographic Bee — the boy who will never get lost. After he won the National Geographic Bee and punched the air in jubilation, 13-year-old Aadith Moorthy, who lives in Park Harbor, Florida, confessed that he was expecting many more ‘dangerous’ questions. “Cap-Ha tien,”Aadith answered with ease. Going by last year’s questions I was expecting it to be tougher. The final question in the previous competition was: Name the country in which the Timis River flows. The answer is Romania. In contrast this year’s was a simpler question since it (Haiti) was in the news because of the earthquake. So I knew the answer. I have not been one of those kids who knew the capital cities of all countries when they are two or three years old. As a child I used to travel to many places around the world and would be fascinated by their cultures. My love for geography comes from my travels. Somewhere along the way I heard about the National Geographic Bee competition and decided to give it a shot. Last year I reached the state level but did not win it. I was very upset and sad. That was where I met my coach Kumar Nandur. He is a speech pathologist but has trained a few kids for the Geographic Bee. Mr Nandur gave me books to read and that was how I started my preparations. But most importantly he taught me to keep my cool and carry on. I realised that there was no point in brooding over my loss. I started my preparations soon after. For the first four months I read books and learned 20 facts per day. During my breaks I would spend 10 hours preparing for the state competition but during my school days I’d restrict it to about an hour or two. I had set a timetable — I’d spend three days per continent and move on to the next. I also studied all my atlases and every inch on the (world) map. During my studies, I found Africa the most difficult to remember, primarily because it is a continent that people don’t talk about much and has a lot of developing countries. There are many different cultures and languages that are spoken across international borders. In fact, the most difficult question in the national final was related to the continent: Tswana is a Bantu language spoken by the largest ethnic group in what landlocked country? I had to think for a while before answering ‘Botswana’. In contrast, Asia was far simpler to study — partly because I come from there and the names are simpler to pronounce and remember. After I won the state competition I had six weeks to prepare for the nationals. Here I doubled my pace. I started studying 50 facts a day and started reading more books. I was quite confident of winning. But I had a bad start and missed the very first question! This was where I remembered what Mr Nandur taught me. I knew I had to keep my composure and I did. I am the only person who has won the competition despite having missed the first question. I visit India very often — almost every year — and spend a month-and-a-half to two months there. During my stay, I visit my gurus to learn Carnatic music. I started singing when I was four and my first lessons were learnt in the US. Now I have my teachers in Bangalore from where my family comes. Sometimes I come down; at other times my teachers fly here or otherwise I have phone classes. I have performed in India as well as in the US. I really enjoy music. Both my parents have been supportive of my decisions and have stood by me during the competitions. My mother Suguna, who is a housewife, used to browse the internet to source information. Dad (Subramaniam Satyamoorthy), who works for Nielsen Catalina Ventures, would get me printouts and highlight things I should be focusing on. He would constantly keep me on my toes by quizzing me all the time. Both have been very cooperative. Besides geography and music, I like math, mythology, physics and astronomy a lot. During my free time I like stargazing. When I grow up I plan to become a physicist and use the $25,000 scholarship to get into MIT. Right now though, with the Geo Bee behind me I am focusing on my exams. School term gets over in the next two weeks, after which I will visit India again.